After our professor Axel Roesler assigned the group for us, we surprisingly had a nice coincidence where our group is mainly made up by international students. We immediately realized that we could use this opportunity to solve some problem that's super tied to our community, and at the same time, apply to a bigger audience. This class was very interesting and progressive because I had the opportunity to work with graduate students from HCID program and also visual communication design seniors, it was a really good learning experience for me to learn from people with different backgrounds and be able to identify my strengths. 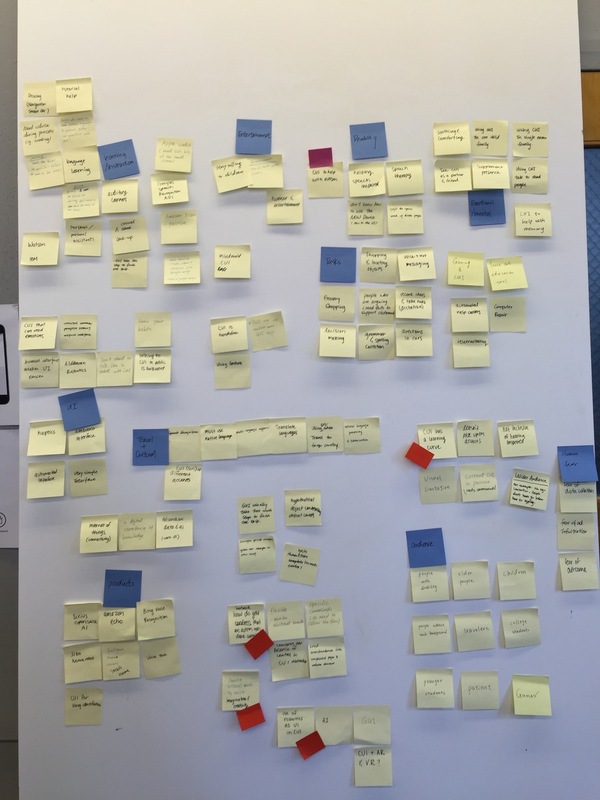 We had presentation critique every week and had guests from Microsoft come in to provide very helpful feedback, it helped us to stretch our thinking and always reflect on ourselves. I see this idea be applied to both personal and company settings. As technology constantly developing, information will be accessible to people anytime even without digital screens. It will happen on different platforms anywhere you go. By combining your social life with the guide of conversational user interface will help people overcome awkwardness of unfamiliarities. For example: We can combine our design with facial recognition technology. After our design helps you connect with people and events around you, you might be overwhelmed by the crowds. 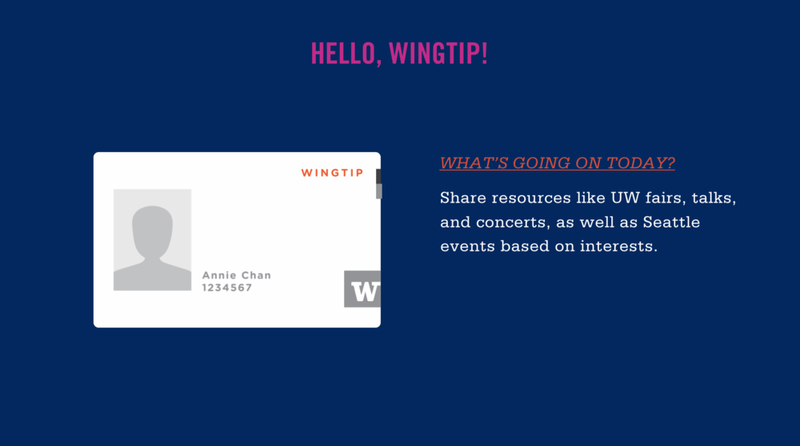 Don't worry, when you forget about someone you met at a concert a few weeks ago, whisper to Wingtip and it will give you a little tip on the name to avoid awkwardness. Through voice input, Wingtip learns your interests and protects them on your UW account. It also takes anonymous location and near frequency data. 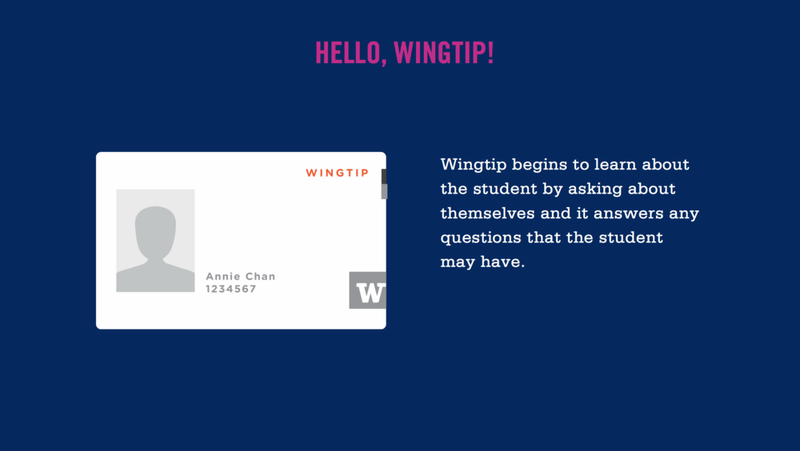 The CUI aspects of Wingtip works on the card, but it can be accessed through the MY UW website and app or through messaging. Wingtip will come in with the welcome package from the university, so they can begin their transition even before the arrive at school. 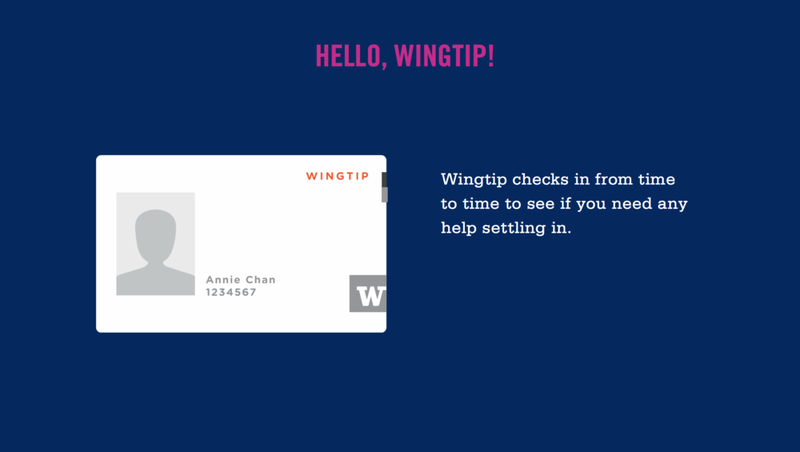 Wingtip functioning as resource, support and explanation and tip.